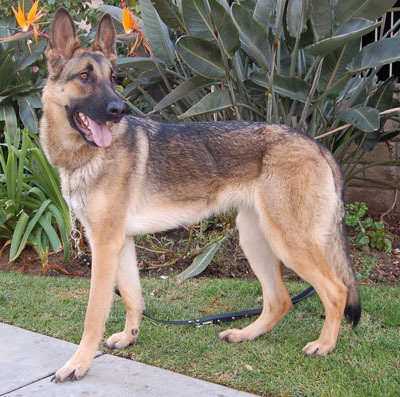 Daisy von Durenburg is an elegant looking 12 month old German Shepherd. 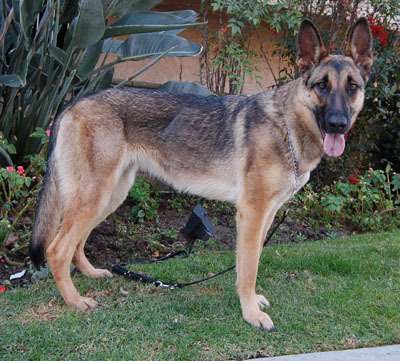 She is a sable German Shepherd which are often bred to be working dogs and bred for health and temperament. 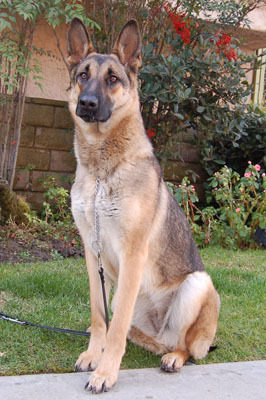 Daisy comes from an area that breeds many sable shepherds; she was lost and no one came looking for her. 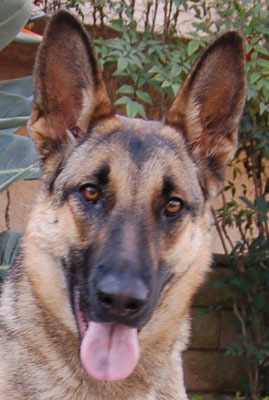 She is a sweet dog and relates well to people. She has some training and knows her commands. 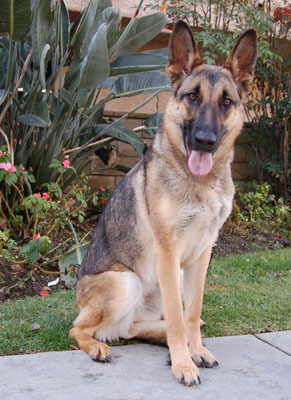 Her coat is perfect and she has obviously been well cared for. 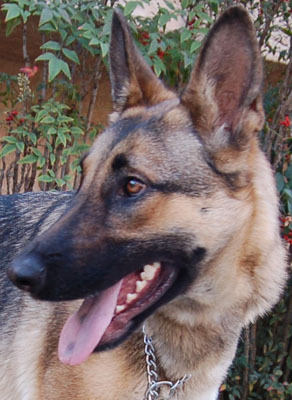 Daisy is relaxed around other dogs and is just a gem! Some family will be very lucky.